When looking for a helmet, you need something that’s aerodynamic, lightweight, strong, has the ability to disperse impact, has little to no buffeting at high speeds and still looks cool. 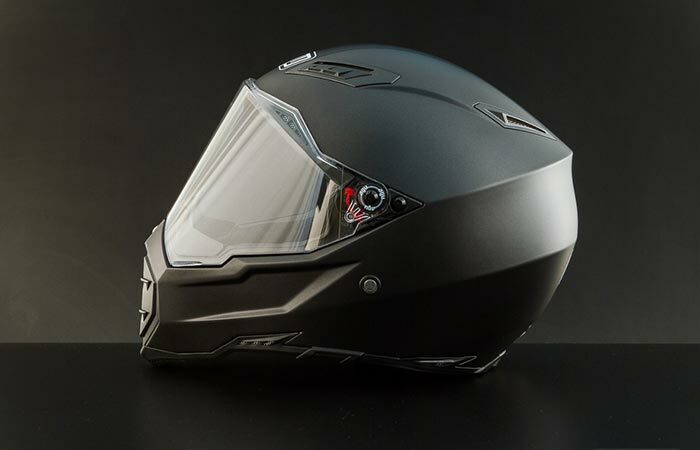 The overall look of a helmet adds something to your character as a rider and the latest release by AGV, the AX-8 Evo Naked Road Helmet, delivers all of this in style. The shell is comprised of 3 different materials – SSL Carbon, Kevlar and Fiberglass. This means that the AX-8 Evo Naked is not only extremely lightweight but super tough as well. In the event of a collision, the AX-8 Naked dynamically displaces the impact away from your noggin instead of absorbing it. By creating the shell out of carbon, fiberglass and kevlar, this helmet is not only lightweight a 3.37lbs but super strong as well. The AX-8 Naked is also far more aerodynamic than its predecessor since it has had its peak removed; this means that you can get more speed out of it while still retaining the extremely important quality of agility. To keep your face cool and allow for proper ventilation, this helmet features a 4 vent system which includes 2 extra extractors. Three of the vents are situated at the front of the helmet, one is at the top and the two extractors are situated at the rear which allows proper airflow around your head. 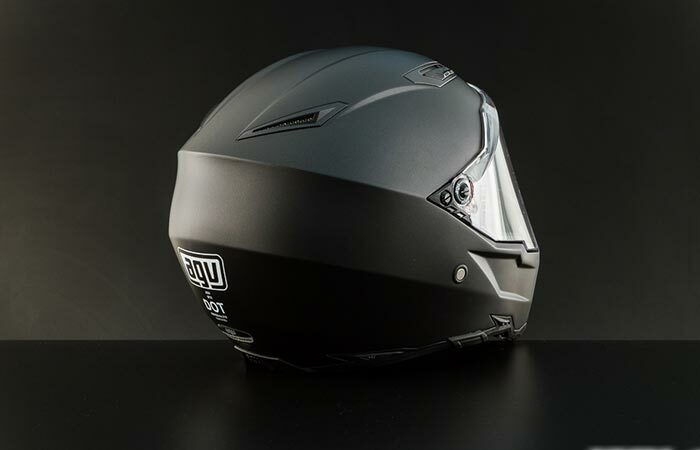 By removing the peak, this helmet is effectively more aerodynamic, stable and performs better at higher speeds than its predecessors. The inner liner of the AX-8 Naked is removable and washable so that you can keep it clean and it’s made from moisture wicking Dry-Lex that allows you to ride comfortably without a sweaty face for hours on end. The face shield is composed of a scratch-resistant, anti-fog polycarbonate and is adjustable as well. This helmet is also surprisingly light at only 3.37lbs and is pretty inexpensive for everything that you get out of it.